Help!! i tried the usual way to change the Connecting lines style in visual paradigm Entity Relationships Diagram, which is right-click on the connector, choose formatting and styles, then format connector. the problem is when i applied the whole steps, nothing changed on my diagram workspace!! do you have any idea about how to fix this. I’m using a free trial. 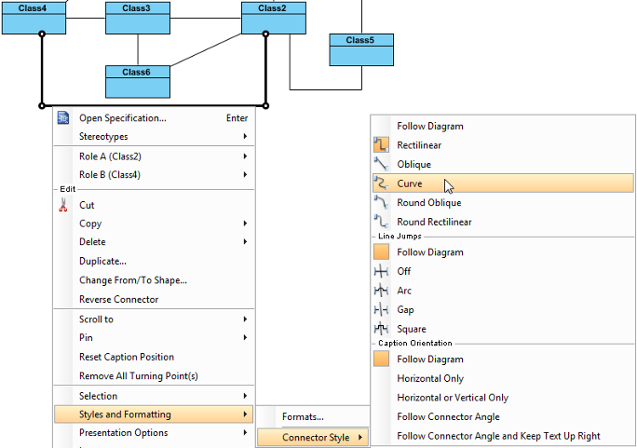 Step-by-Step learning guide that shows you how to set the line and connector styles for your Visual Paradigm diagram. Note that connector style can also be set diagram-based using diagram’s popup menu, from the “Connectors” sub-menu.